I try to fish rivers and lakes for bass as time and opportunity can allow, but I still find myself casting to old familiar retention ponds all summer long at least once or twice a week. These small water gold mines dot the landscapes of many residential areas and neighborhoods all over the country and many of them go extremely under fished. Most ponds that are found on the sides of roads or inside communities are open to the public but some are specifically marked as private. Even in those cases, a few friendly door knocks later and you could find yourself in the middle of a bass fishing bonanza that was there waiting for you the entire time. Your neighborhood pond may be an untapped resource for when you feel the need to catch a few fish! There are a few techniques that I always obey on every trip that I take to a pond where I will be walking the shoreline and searching for bass. The first technique that I often see many pond fishermen absolutely disregard is where to cast. Long casts are great but long casts to the middle of the pond are a flat out waste. 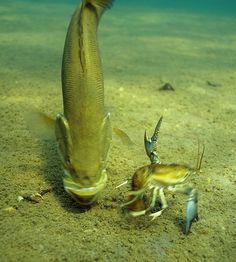 Most pond bass spend a majority of their time cruising the shorelines. If they aren’t actively cruising, they post themselves right on the drop offs that most retention ponds have just a few feet off the shore that circle the pond. Rarely will I even make a cast that is more than 45 degrees off the bank. Long casts down the side of the shoreline will keep your lure right in the strike zone from the moment it hits the water to the second you are ready to recast. The second rule I follow on all ponds when on foot is to walk slowly, purposefully, and with attention to every step. I try to stay back a little from the edge. Bass will sit tight on shoreline weeds and often times won’t kick off until you are right on top of them. Even though they may see you, slow movements can allow you to get closer than others and offer more subtle presentations that can possibly turn those fish into takers. I also wear more natural colored shirts. Light blues and grays are always a good color choice. This helps cut down the fish’s ability to see you coming. Another reason to walk slowly is, well, goose poop. Enough said. 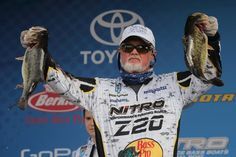 As long as those first two basics – walk slow and cast the shoreline – are met, you will find you are already ahead of the game than most anglers that have tried their hand on that same body of water. Now it’s time to find your lure. Fortunately, this part is pretty simple – use whatever everybody else is not. 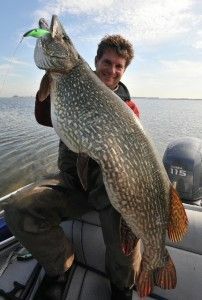 I find that lures that others have trouble casting tend to get bit a little better than lures that have been casted by every other fisherman that has fished that pond in recent history. For example, small side to side topwaters are a good choice during the morning and evenings. 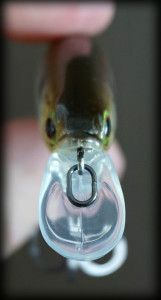 Often, people with poor rod techniques stay away from using them. Weightless rigged plastics are great choice any time of the day but they can be intimidating for people who aren’t comfortable with soft plastics or can’t rig them properly for the best action. 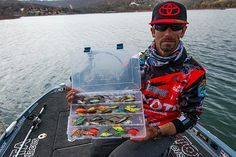 Traditional spinnerbaits and buzzbaits are one of my favorite go-to lures for bass just about everywhere but I stay away from them on more pressured ponds since they are commonly used lures. Instead, I tend to opt for an alternative approach. Recently I have been fishing a 4 bladed titanium spinnerbait and a two winged buzzbait from Throw’N Thunder. 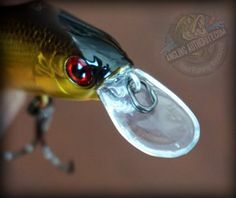 The spinnerbait offers something just a bit different than most bass have felt or seen before, especially on retention ponds, and that has made a big difference. The same goes with the buzzbait. Bass tend to be very aggressive on smaller ponds but can be conditioned awfully quick. Just a small difference like the 4 blades or the two wings can really open some lock-jawed mouths that have been offered the same presentation 100 times before. No matter what lure you choose, the biggest secret is spending time on the water and learning what nooks and crannies hold the fish. Once this is figured out, you will find more bass in small waters than you ever knew existed. Recently this 2 bladed buzzbait from Throw’N Thunder has been one of my favorites to throw along banks. Brad Smith is an avid outdoors enthusiast as well as being an outdoor photographer, writer, and wild game cook. Brad has spent time as a fishing guide and lure designer but there’s not much more he enjoys these days than being able to spend time fishing or hunting while taking photo’s of the trip and writing about it when he gets home. If you look close, you can find some of his work on various websites and magazines all over the country. Just recently Brad has become an active member of the National Outdoor Writers Association.